Do you need to buy land or thinking of a new custom built home? Think of Us & Call Now! Building materials designed to stand the test of time. Custom floor plans that cater to YOUR lifestyle. The construction talents of these two father & son teams are shown in every detail showcasing their unique craftsmanship. See for yourself! The Johnson & Lee home-building team values the commitment of being on the job-site daily to ensure every aspect of their personal workmanship and style goes into every custom home they build. Their personal touches—combined with the homeowner’s vision of their new home—are evident in every Johnson & Lee home. Their excellent customer service skills and follow-up have earned them an A+ rating with the Better Business Bureau from both clients and professionals. Johnson & Lee, LLC is best known for their extraordinary building of custom single-family homes in the Belews Creek, Greensboro, High Point, Kernersville, Winston-Salem, Madison, Oak Ridge, Pine Hall, Stokesdale, Summerfield, Walnut Cove, and Jamestown areas of North Carolina. 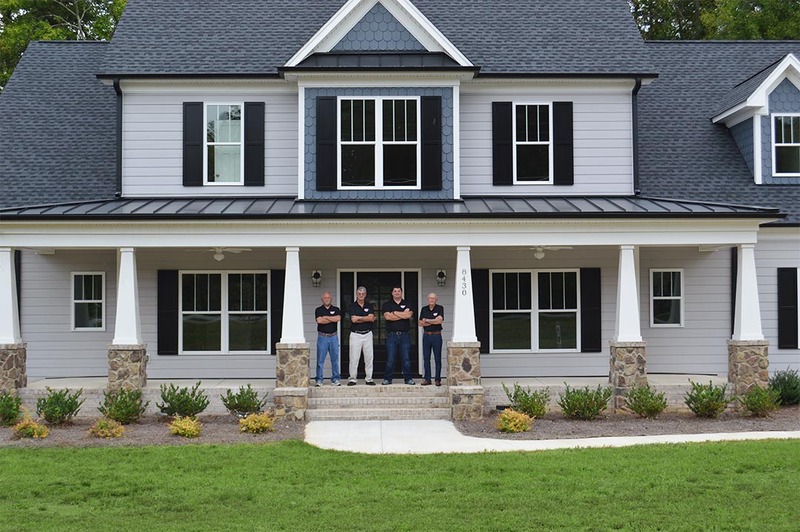 In addition, these two father and son teams, having over 100 years of combined experience, can offer something most other custom home builders in Greensboro can not – more lucrative construction financing. Financing your residential home construction project with Johnson & Lee LLC., allows homeowners to have a more flexible credit limit. 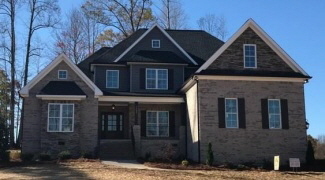 Custom home builders Johnson & Lee, LLC has been serving Greensboro and Triad area homeowners with quality-driven workmanship together for 13 years. 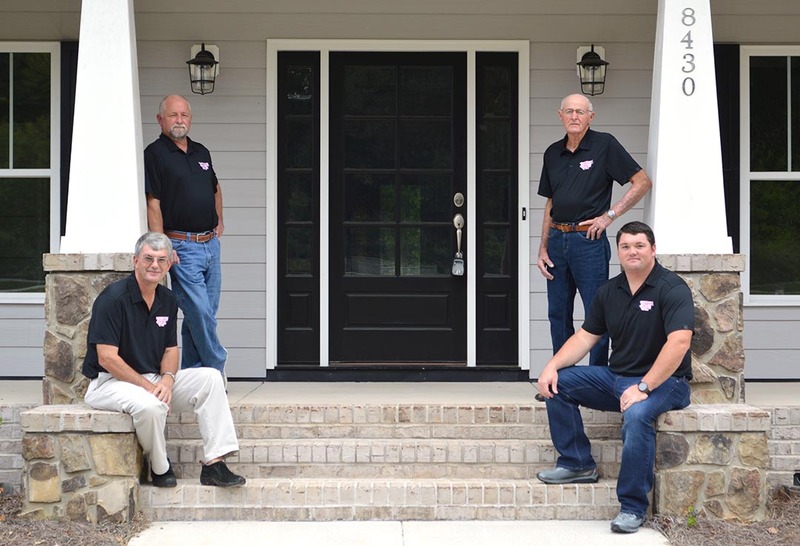 Rick Lee has been building new custom homes for 50 years and his son, Mike, in new home construction for 27 years. Commie and Casey Johnson joined forces with the Lee family to put their sole focus on residential new home construction and custom homes. With their combined expertise in residential and commercial general contracting services and new home construction, these father-and-son teams have a passion to complete each job to their clients’ satisfaction—a passion rivaled only by the quality of their work. Thank-you Johnson & Lee LLC for our Custom Home. To say we are impressed with the Quality of your Workmanship and Integrity is an Understatement. From our first meeting you showed willingness to listen to our needs and put us at ease. Always pleasant and courteous as well as the subcontractors you brought with you. Johnson & Lee LLC made our home building experience a pleasurable one. Thank-you for a Job Well Done. Our home is more beautiful than we had dreamed. It was an absolute pleasure working with you. We found them to be honest builders right from the start. They were upfront with all costs an never wavered from them. Mike was on the job site daily. We never once felt like we were competing with his other projects. We always felt like we were the only home being built and our needs were met whenever we asked. Both Rick and Mike were quick to respond to our many questions – no matter how minor. …Every expectation we had for a smooth quality building process was met by Mike and Rick Lee.